Memorial services for Ms. Doris Sitton will be Saturday, April 5, 2014 at 11:00 A.M. in the Chapel of West’s Mortuary in Americus, Georgia with Rev. Tommie Jordan officiating. Ms. Doris Sitton was born in Sumter County, Georgia on September 25, 1930 to the late Mary Lee Walker Powell and Step father Jim Powell. Ms. Doris moved to Miami where she studied Nursing and became a Registered Nurse. She was employed at Miami Children’s Hospital for twenty years. She was a member of the St Agnes Episcopal Church in Miami under the leadership of Rev. Alexander Ekechukwu. Ms. Sitton died on Sunday, March 30, 2014 at the United Healthcare in South, Carolina. She leaves to cherish her memory two nieces: Selma Powell of South Carolina and Angela of Macon Georgia; three nephews: James T. Powell of Clewiston, Florida, Michael Stewart of Killeen, Texas and John David Powell, Jr. of Houston, Texas. A host of other relatives and friends also survive. 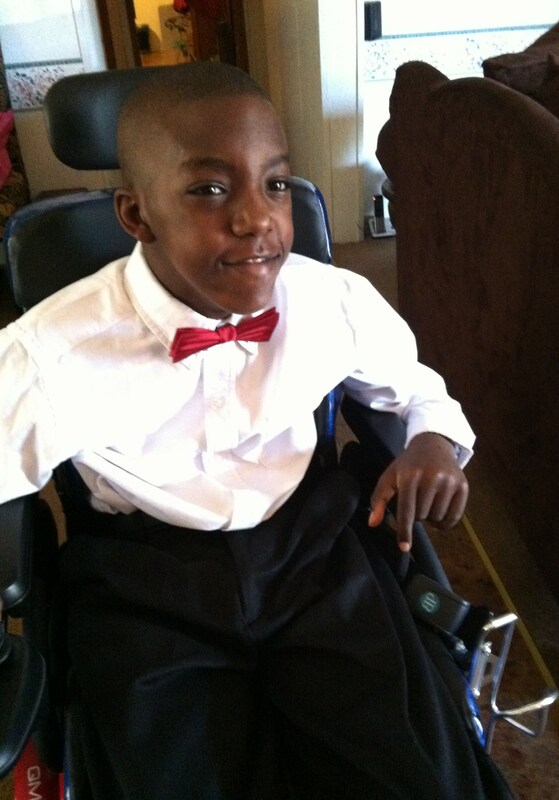 Homegoing services for Jayden Terrence Johnson affectionately known as "JayBird" will be held on Saturday, March 22, 2014 at 11:00 A.M. at Allen Chapel AME Church, 102 Bumphead Road Americus, GA with Rev. Lodenia Coleman officiating. Jayden Terrence Johnson became absent from the body and present with the Lord on Saturday, March 15, 2014 at Phoebe Sumter Medical Center. On Saturday, April 10, 2003, David and Fanesia Johnson were abundantly blessed with the birth of their youngest son. They named him Jayden Terrence Johnson. Jayden was an aspiring 5th grader at Sumter County Elementary School, Americus, Georgia, where he was dearly loved and will be missed by all. Jayden’s family presented him to the Lord for baptism as an infant at Campbell Chapel A.M.E. Church, Americus. As he “waxed strong in the spirit” whenever he was able to attend church Jayden enjoyed singing along with the choir his favorite songs “I Heard the Angels Singing,” “Jesus Loves Me,” and “You Gotta Have That Pure Religion, Hallelujah!” which was taught by his great-grandmother, Lillie Ruth Pace. Jayden touched many hearts and lives with his warm heart, inviting smile and extraordinary spirit. Jayden was very strong, courageous and the true definition of a fighter. He was never afraid nor did he ever get discouraged during his journey, for he always knew that his Lord and Savior were with him. Jayden’s loving and devoted parents David and Fanesia Johnson; two loving and supportive brothers: Shykeith J. Johnson and Dave’on J. Johnson; grandparents: Fannie E. Anthony and the late Michael Anthony, Aaron & Bernice Johnson, great grandparents: Lillie R. Pace, Willie C. Johnson, Katie Johnson, Lucille Brown, Cicero Anthony, the late LaDeice Anthony, the late Albert Mack and the late Lester Broner. He also leaves to cherish his memories his loving and caring aunts and uncles: Michael (Keya) Anthony, Eric (Jherusia) Anthony, Jamaal Anthony, Yolanda (Andre) Robinson, Roderick (Katisha) Nixon-Johnson, Christina Johnson, Teresa Johnson and Jerilynae Pointer; great aunts and uncles: Rosa M. Pace, Lisa D. Pace, Bonnie F. Williams, Ronald S. Pace, Dennis (Tamyra) Pace, Clyde (Connie) Anthony and the Anthony Family. Other survivors include Johnny (Cassandra) Mack, Linda Brown, Elizabeth Mack, Beluah Johnson, Willie C. Johnson Jr. (Carolyn), Frank Mack, Colleen (Lewis) Glover, Brenda (Charles) Lipscomb and Anita (Matthew) Davis. God Mother: Lisa Davis; God Sister: Isis A. George; God Brother: Kaden T. George; Special devoted caregivers: Katrina (Anthony) Campbell, JoAnn Floyd, Connie (Mike) Gurley, Maggie Greene, Stephanie Harvey, Emily Smothers, Delores Jackson, Carolina Henson, Lisa Dickens, Angela Shoemaker, and the Sumter County Elementary School Faculty and Staff, Dr. Judy YY Cheng, Elenore Botha and Dr. Gambello, Emory Genetics Staff.